The Kamakura fireworks festival celebrates its 70th year in July 2018. The beautiful Yuigahama beach plays host to the rustic fireworks, providing locals and visitors alike to a more relaxed and laid-back atmosphere. This may be a smaller scale display compared to the others in the surrounding cities, but this doesn’t mean that it is any less popular as it attracts over 150,000 visitors to the area each year during this time. The fireworks are set off from boats set out on the water so everyone has a fantastic view of the beautiful fireworks display. The beach is the place to be and you have 2 to choose from, Zaimokuza or Yuigahama Beach. You can opt for a more prestigious seat at one of the beach houses or simply bring along a towel and find a place on the sand. The event does get very crowded, so it is recommended to arrive early and take a picnic or lunchbox with you to grab a spot. If you want to venture off and visit some of the food stalls in and around the beach just make sure that you leave your blanket down to reserve your space for a while. 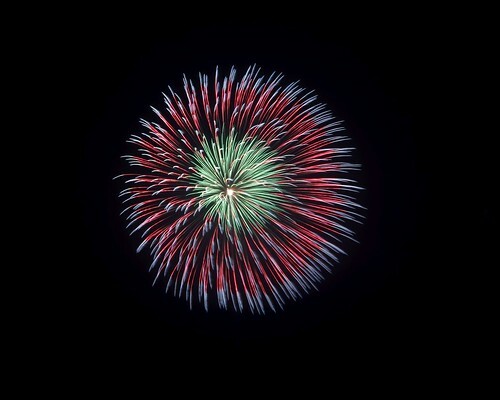 There were rumors this year that the fireworks may have had to be cancelled due to a lack of funding, but the local community has all pitched in and raised the funds to make sure that the event goes ahead. The fireworks themselves start off around 7pm and the beaches soon become crowded with everyone waiting in anticipation for them to begin. The pyrotechnics are a truly magnificent spectacle with not only a display in the air but also underwater. This is something that you may not get to witness anywhere in the world and something that you don’t want to miss. A speedboat glides along the horizon with the rider with fireworks in hand, drops them at a precise moment and then the magic begins. Exactly half of the explosion happens above the water and half below. Along with this as each of the fireworks and rockets are set off above the water the reflection creates a dual image, ideal for photographers to get some beautiful shots. 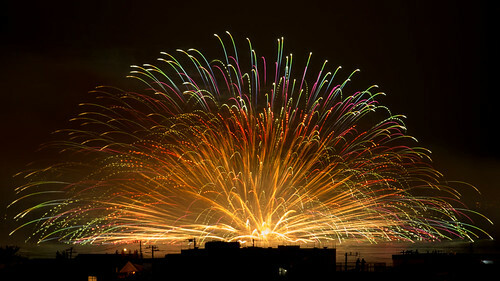 Fireworks may have originated in China, but Japan certainly gives them a run for their money with these 2,500 fireworks extravaganzas and the Japanese are world renowned for their precision and expertise in the creation of the ‘super shells’ which are always handmade and are HUGE and contain multiple effects. Should the weather not be suitable for the firework event, it will take place the following day, Wednesday 25th July 2018.